Turkish President Recep Tayyip Erdogan is set to host the leaders of Russia, Germany and France at a four-way summit in Istanbul to discuss the long-running war in Syria, now in its eighth year. In Saturday’s meeting, Ankara is expected to press for a clear outline of steps towards a political resolution, as well as push for the preservation of a deal reached in September with Moscow that set up a demilitarised zone around Idlib, the last major rebel bastion in Suria. The solution in Syria “is a political one, not a military one,” Ibrahim Kalin, spokesperson for the Turkish president, said on Friday. Erdogan and his guests – German Chancellor Angela Merkel, French President Emmanuel Macron and Russian President Vladimir Putin – will also hold discussions on humanitarian aid, the drafting of a constitution and reconstruction of the war-torn country. On Friday, seven people were killed in rebel-held areas in Idlib after Syrian government forces shelled two villages, according to opposition activists. The UK-based Syrian Observatory for Human Rights (SOHR) said three children were among those killed in the shelling of Rafa and Umm Jalal villages. The White Helmets, a civil defence group operating in rebel-held parts of Syria, also reported the same death toll, as cited by Anadolu news agency. The villages are part of the demilitarised zone in Idlib, agreed by Turkey and Russia in Sochi last month. The agreement reached between Russia and Syria prevented a government offensive on the last rebel stronghold in the country. Idlib has been relatively calm since, though some armed groups have not met an October 15 deadline to evacuate the demilitarised zone. Many feared that a government offensive in Idlib would trigger a new refugee crisis as the region is home to some three million people, many of whom were already displaced by the war from other parts of Syria. France has said it intends primarily to promote the maintenance of the ceasefire in Idlib to avoid a humanitarian catastrophe and a new mass wave of refugees. Paris also said it wants the effective launch of an inclusive political process in accordance with a United Nations resolution. The summit comes amid Turkish threats of a new military operation across the border into northern Syria, in zones held by Syrian Kurdish fighters. Turkey considers the Syrian Kurdish militia, which is backed by the United States, to be “terrorists” and a part of the Kurdish armed campaign within Turkey. On Friday, Erdogan said Ankara would not allow “terror groups located east of the Euphrates River” to threaten Turkey’s security. 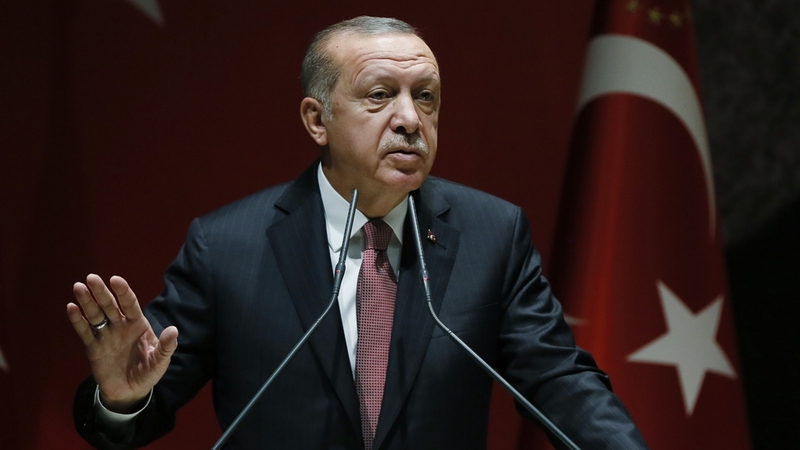 Turkey launched two incursions into Syria, in 2016 and 2018, into areas west of the Euphrates, pushing fighters from the Islamic State of Iraq and the Levant (ISIL) armed group as well as Syrian Kurdish fighters from its border.